NEW YORK -- A retired police officer killed four men while involved in a conspiracy to distribute cocaine, prosecutors said Tuesday, CBS New York reports. Nicholas Tartaglione was arrested on Monday on charges of murder and conspiracy to distribute 5 kilograms and more of cocaine, U.S. Attorney Preet Bharara said. “While all murders tear at the fabric of our communities, when the alleged perpetrator of a gangland-style, quadruple homicide is a former police officer, that strikes at the heart of civilized society,” Bharara said. 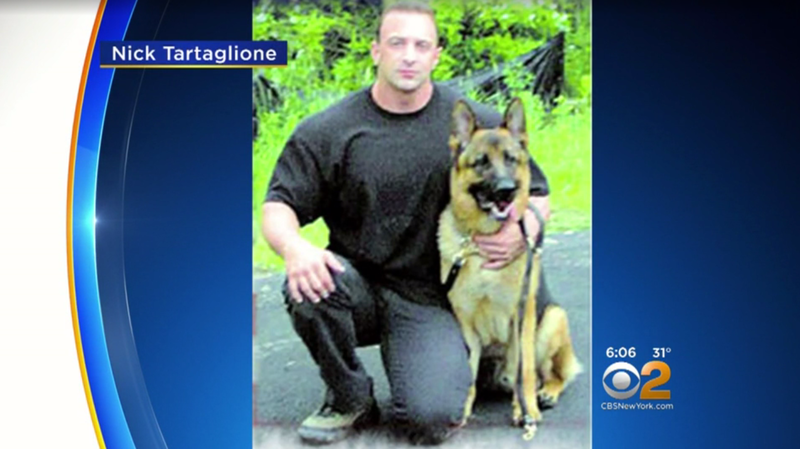 Tartaglione, 49, of Otisville, retired from the Briarcliff Manor police force on disability in 2008. He rescued dogs and horses on his 65-acre farm and was reported looking for a new job with the Mount Vernon police department, WCBS 880 reported. Tartaglione is accused of killing Martin Luna, Urbano Santiago, Miguel Luna and Hector Gutierrez. They all disappeared April 11. Surveillance video from that day shows the victims exiting their car outside a Chester diner in the same plaza as Likquid Lounge, a bar owned by Tartaglione’s brother. Prosecutors believe the former officer murdered the men inside the bar. “I was appalled, I couldn’t believe it,” said Village of Chester Police Department Police Chief Peter Graziano Jr.
“It’s just despicable and heinous you know that a guy who has taken an oath and sworn to protect the people turned around and just because he’s no longer a police officer then turns to these kinds of things, whether it’s drugs, or money, or murder,” he added. Graziano said his detectives have been working hard to bring the victims’ families closure.